Sophia Resnick studied at the Florence Academy of Art with the Egelis and with Nelson Shanks. She was commissioned to do a portrait of Prince Michael of Kent and had an internship at the Hawthorne School of Art. 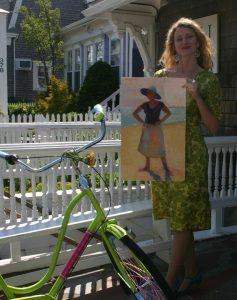 Sophia can be seen painting at https://youtu.be/ZxqhBs_6ov4 with the model against the backdrop of the Hawthorne Barn in Provincetown as well as the landscape of the dunes and the sea.